Did you know that when your cat sprays indoors, this is behavior related to stressful situations? 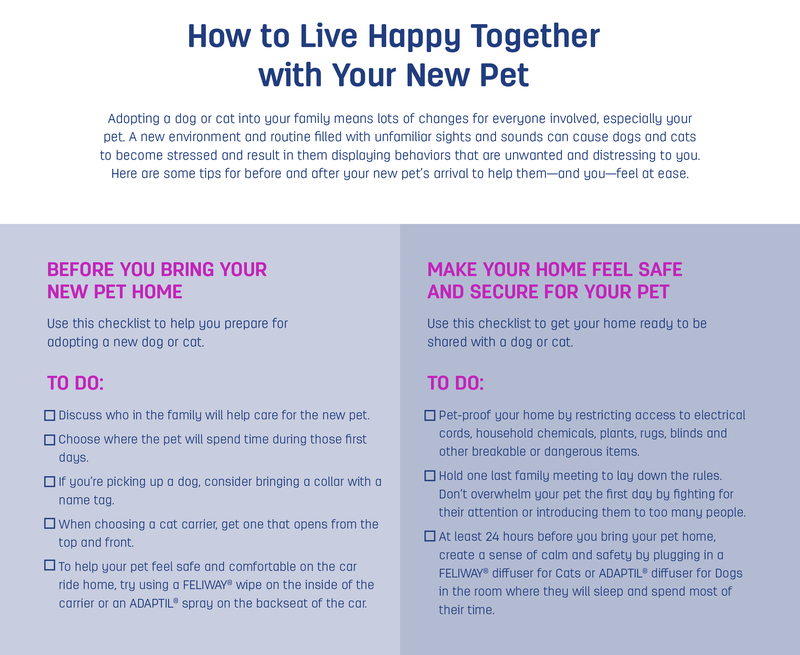 Stressful situations that can cause this unwanted behavior includes moving to a new home, not having enough litter boxes around the house, cat conflict between housemates and your cat seeing strange cats outdoors. Even the smallest changes to your cat’s environment like new furniture, holiday decorations or house guests can lead to urine spraying indoors. Luckily, we know what can help! 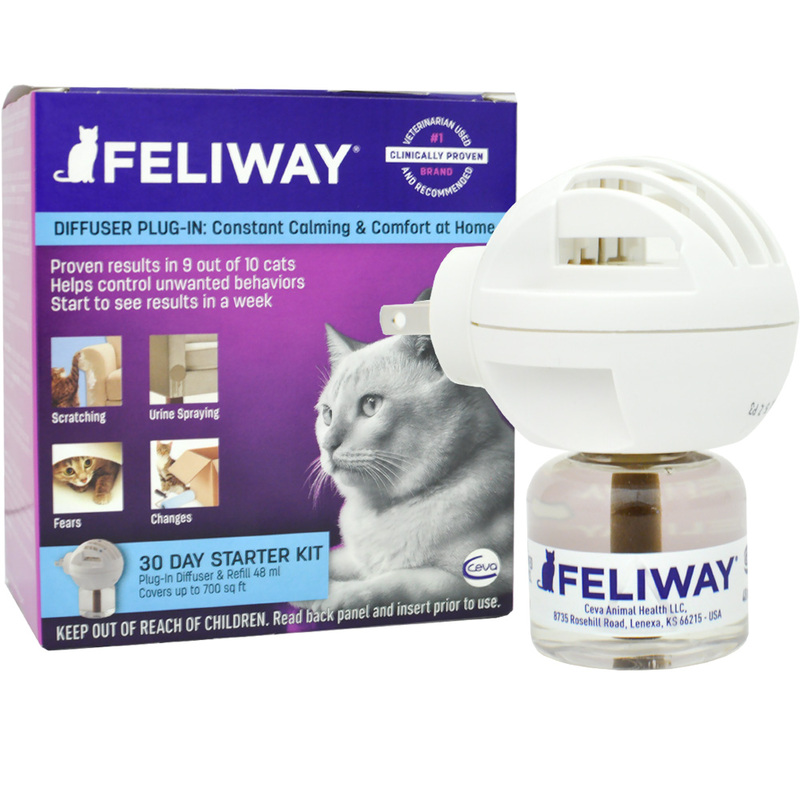 FELIWAY® for cats is a copy of the natural feline facial pheromone used by cats and is clinically proven* to help reduce or eliminate stress-related behaviors like urine spraying. This fantastic new pheromone Feliway diffuser duplicates the smell of a cat's natural scent glands. Cats will not soil anything close to where Feliway has been sprayed. 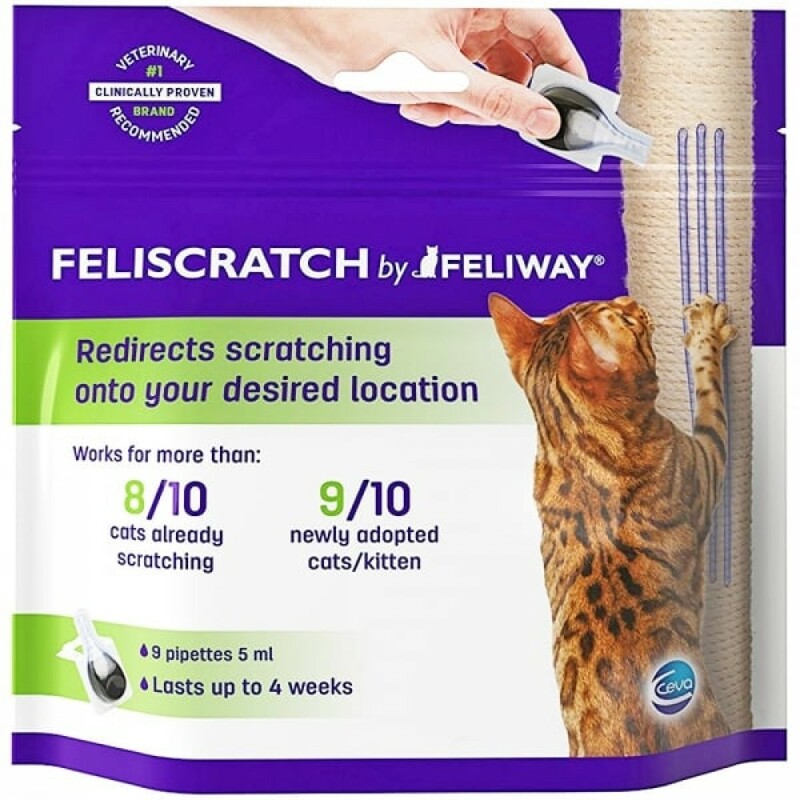 Feliscratch by Feliway®, is a simple answer to your cat's inappropriate scratching in the home. When scratching, cats mark their territory by leaving visual and chemical messages from their paws. By mimicking the cat's natural facial pheromones, Feliway®, creates a state of familiarity and security in the cat's local environment. Do loud noises like spring thunderstorms and fireworks send your dog into a panic? Stressful behavior caused by loud noises is very common in dogs. 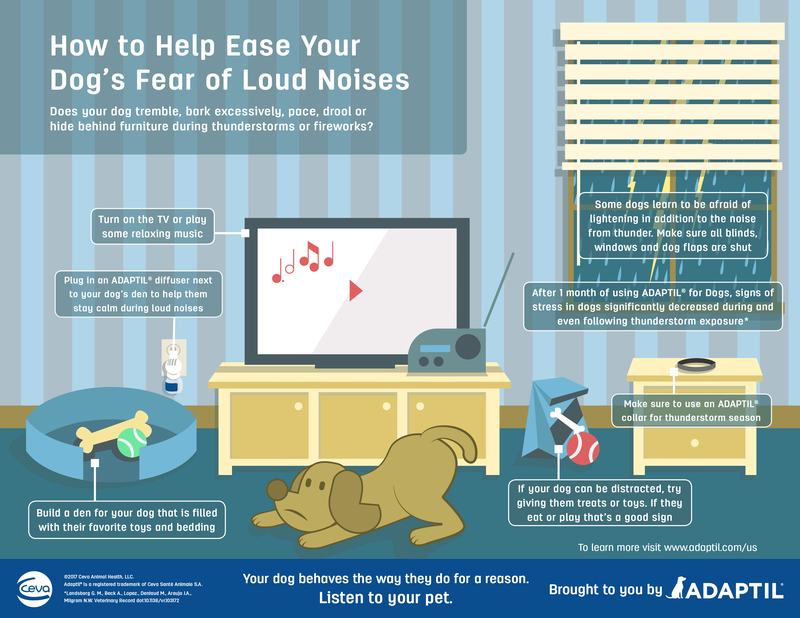 Luckily, we have a solution that can help dogs stay calm when loud noises occur. ADAPTIL® for Dogs mimics the canine-appeasing pheromone dogs know from birth that is clinically proven* to help reduce or eliminate unwanted behaviors associated with the fear of loud noises. If you've ever been scared by loud, unexpected noises, know that your pet is much more sensitive to them than you are. 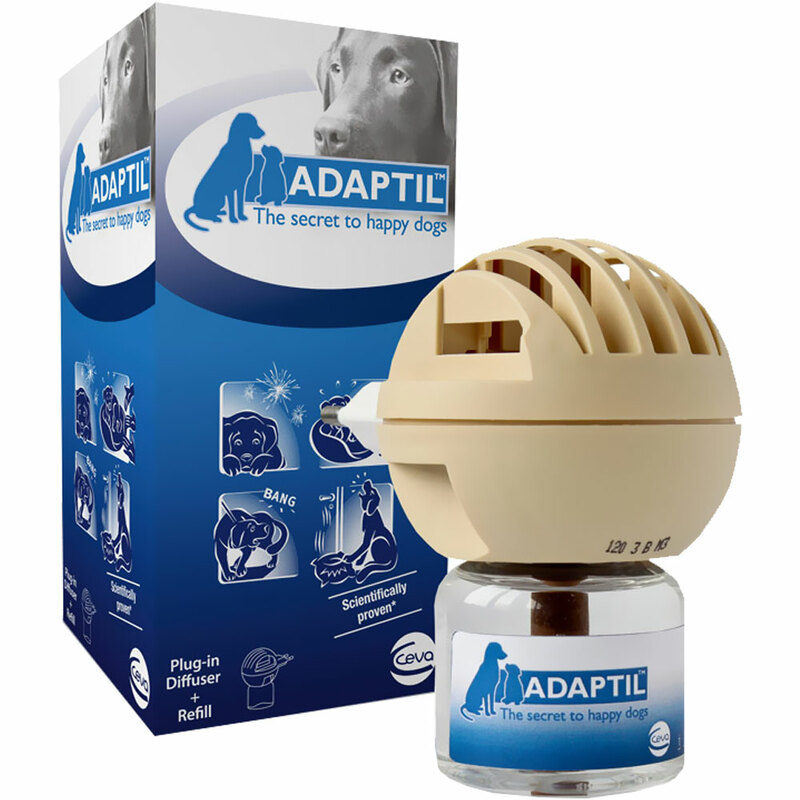 The ADAPTIL Diffuser contains DAP (Dog Appeasing Pheromone) that will come to your dog's rescue. ADAPTIL (DAP) Collar contains DAP and offers a natural and convenient way to help manage stress-related behavior in your dog. 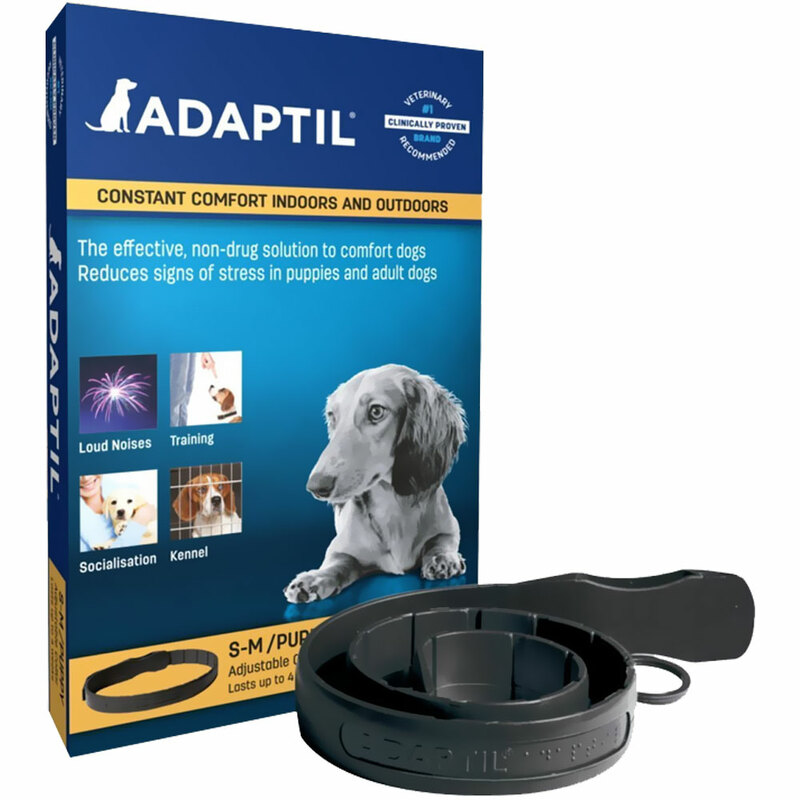 Designed to provide comfort to puppies and adult dogs in stressful situations, ADAPTIL helps responsiveness to behavior therapy and training. Adaptil (DAP) Dog Appeasing Pheromone Spray (20mL) helps stop or prevent fear and stress-related behavior in puppies and adult dogs that result in: destructive behavior, excessive vocalization (barking, whining, etc. ), house soiling, excessive licking, anxiety.